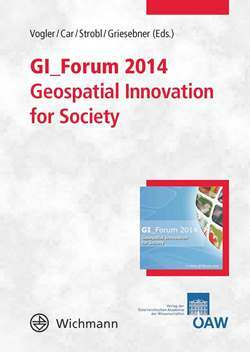 A scientific book publication that explores the dimensions of the Geoinformation Society. Project partners and external experts will contribute, identifying different ways the GISociety impacts on the teaching and learning needs of citizens. 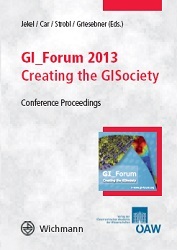 The Online Report which will provide online materials connected with the dimensions of the Geoinformation Society. It will incorporate a condensed SPACIT description for teachers use; introductory materials for Spatial Citizenship education modules and an assessment of the state-of-the-art and likely futures. A leaflet for teachers/teacher educators/curriculum developers/Ministries which raises awareness of the GISociety and its significance to European citizens and education. 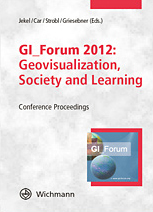 The leaflet promotes the concept of Spatial Citizenship and describes the relevance of Education for Spatial Citizenship. 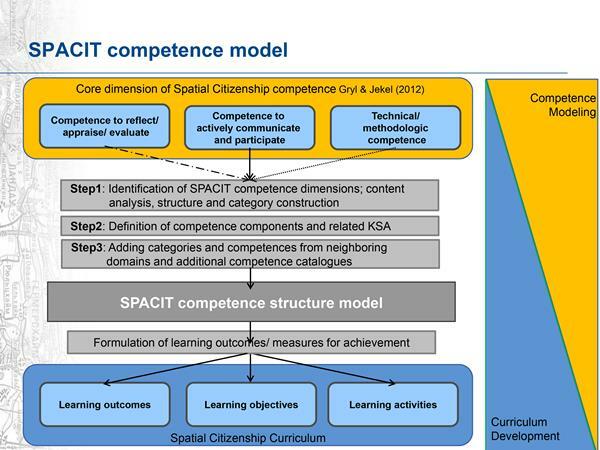 The images represent the curriculum structure of the SPACIT course and appropriate measures which can be used to reach the competences suggested in the competence model for Spatial Citizenship. It also provides planned workloads according to the European Credit Transfer System for each part of the curriculum, for easier inclusion in various national initial teacher training and in-service training activities. The final version of the online course materials populates the course learning environment for use by teachers and teacher educators. 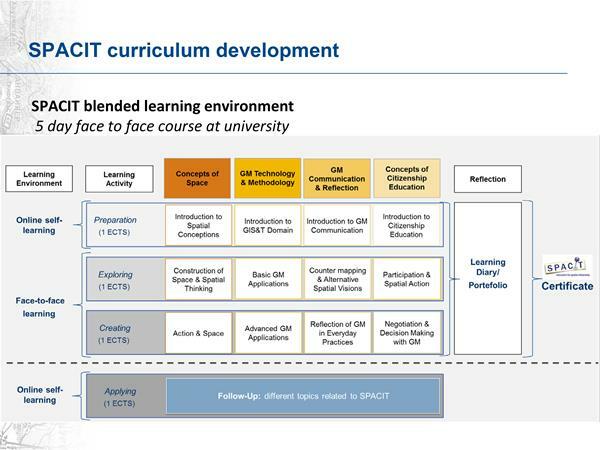 The online learning environments / materials on spatial citizenship are structurally oriented at the spatial citizenship competences and curriculum, but are spatially transferable – meaning that localized versions can easily be developed to suit needs and requirements. This allows for learning processes to be developed that are oriented at individual / regional experience of learners. Guest access to the online learning environment needs to be acquired by contacting the project partners. 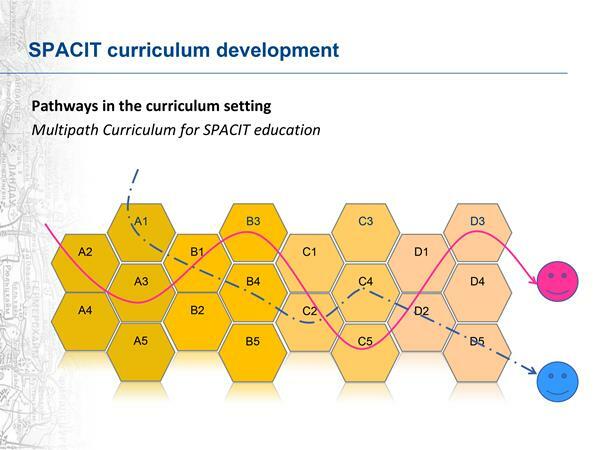 The SPACIT course materials can be accessed and downloaded from this website, in all the languages of the project partners, by clicking on the links below. The articles and press releases about SPACIT that have been published are accessible through the following links and are organized by language. 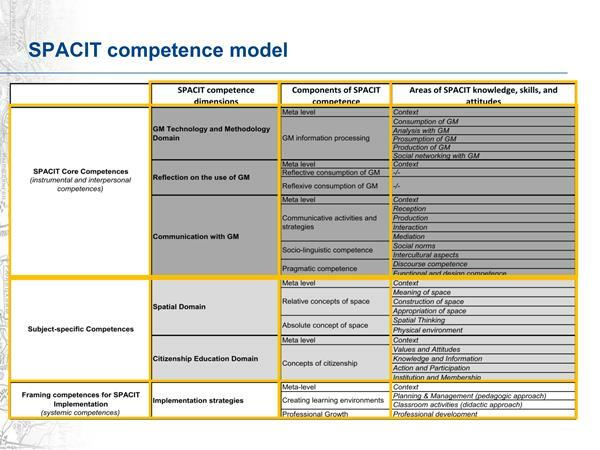 The SPACIT progress and results have been presented to teachers, teacher trainers and stakeholders, during conferences and/or workshops, on the national and international level, as well as through social networking sites. Some of the slide presentations can be accessed by clicking on the relevant links below.